Tulehdus voi aiheuttaa masennusta, kertoi Yle 21.1.13. Tutkimuksen kohteena ollut siis veren CRP-pitoisuus (c-reaktiivinen proteiini). Otsikko on sikäli virheellinen, että asia voi olla myös toisinpäin; masennus aiheuttaa tulehdusta. Omasta mielestäni kausaliteetin suunnalla ei kuitenkaan ole juuri väliä. Tulehduksen hillitseminen pehmein keinoin (siis elämäntapamuutoksin, ei lääkkein) on voittajan valinta. So, it’s already November (Movember!) and DARK in Finland. I picked up my Valkee in the end of October and been going on steady on the 8 minute daily exposure. In my experience Valkee not only helps to wake up in the morning but also supports a normal circadian rhythm. The research has continued and the latest results show that Valkee strongly alleviates the symptoms of SAD (seasonal affective disorder). In the first research it was found that a whopping 92% of severely depressed participants went into remission after only four weeks on Valkee measured by Beck’s 21 point depression assessment (press release in Finnish). Also the randomized research showed marked benefit in shorter bright light treatment when the light is targeted to brain’s light responsive areas. Neuroanatomist Jill Bolte Taylor had a stroke. Hear her extraordinary talk about the experience. Jill Bolte Taylor’s Powerful Stroke of Insight. NOTE: you can turn on the subtitles (like in English or Finnish below the video. So. 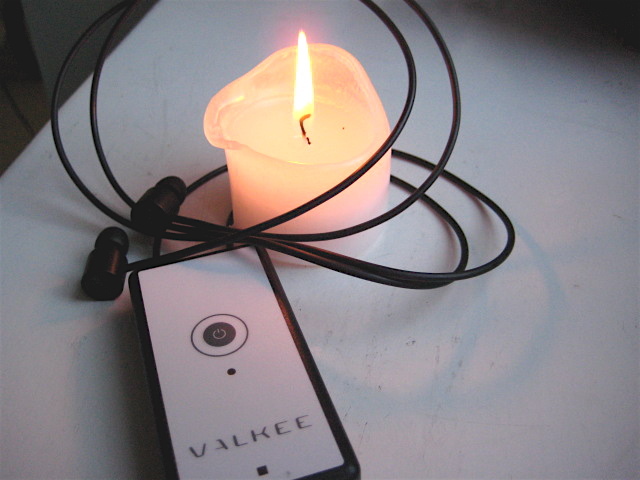 In November I wrote about using Valkee, the Finnish earlight innovation to help manage through the dark season of the year. I had then used Valkee for two weeks and the results were convincing, tho, naturally, subjective. But as I’m the subject and I find it works, I’m happy. People have been asking whether I still use Valkee and whether I still find it recommendable. Well, here’s a little brief about the current situation. How long have you been using Valkee? Has there been any changes after the initial (positive) impact it had on your energy levels and mood? Well not much. After the first week of using it I had some troubles waking up too early but that solved quickly as I started to sleep until my usual 5:50 AM. I haven’t experienced the absolute total exhaustion I’ve had in the past after the darkest months. I’ve been sleeping mostly okay despite some work related stress (just busy) but had some stress provoked wake ups and nightmares. Still, I haven’t been sleepy during the days. Have you experimented dropping Valkee for a awhile and if, were there any noticeable effects? I have. I went almost two weeks without Valkee. The period didn’t have a major impact on my energy or mood, but it did have some. I started to get more tired and I was more easily irritated. After going back on using Valkee I felt my mood brighten up and really, I haven’t been tired in the sense I was before in the time of the polar night (as they seem to call kaamos). Of course I’m still tired after a rough day at work and hobbies but that’s different kind of fatigue. 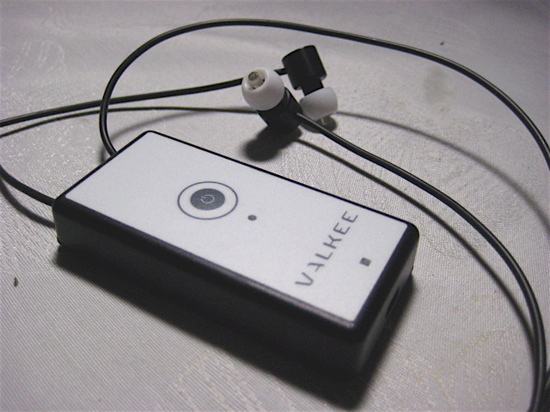 Would you still recommend Valkee? I would. It’s important to notice that the research is just preliminary and we’re going to have to wait for some more serious data but I feel that for me Valkee has been beneficial. It’s more effective than the normal bright light and I feel I don’t need to use the normal one anymore. Are you going to continue using Valkee? Yeps, I’m not giving up before the sun comes up when I wake. Now the sun rises in Helsinki 8:24 AM. There are still two and a half hours to go. Hurry up, sun, my beloved friend! If you have any questions related to Valkee, please post them in comments. I’m happy to share my (very subjective and unscientific) opinions on the matter. Valkee, a bright light headset, is a Finnish innovation aiming to fight the yearly exhaustion and depression due to the dark season. The preliminary research has been more than promising: nine out of ten people experienced total relief of symptoms. The clinical research has been done in the University of Oulu, Finland, and the results, as mentioned, have been phenomenal. 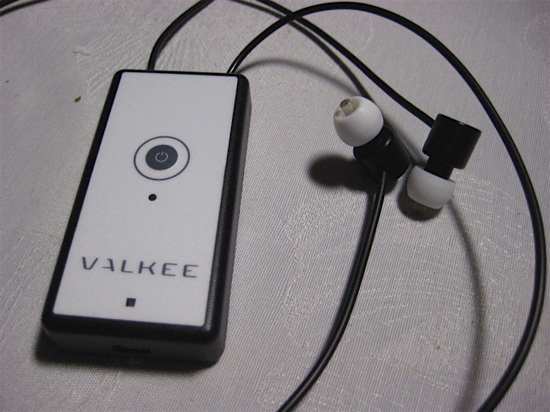 Valkee has been studied since 2008 and is now available in Finland. The device itself is like a mini radio with earplugs. The daily treatment takes only from 8 to 12 minutes and is painless and easy. The bright light goes straight to brain (the skull is the thinnest in the ear canal) and therefore is more effective than, say, bright light treatment done by the traditional bright lights. And by my own experience, it really is. I’m a devoted owner of both the table bright light and the “dawning light” which wakes me up in the morning by a gradually enhancing light. I love them both but neither of them has had this big of an impact in my energy and mood. I’ve also noticed my attention span is longer than in awhile (way beyond the average gold fish which is what – 3 seconds?). I was lucky to get to test this wondrous device. After two weeks of using Valkee daily for 12 minutes I’ve been transformed. I actually just recently (3 weeks ago) donated blood and my hemoglobin was quite low. Donating blood lowers it even further and I’ve always had some difficulties dealing with low hemoglobin. I’ve been sleepy and very, very tired. After starting the use of Valkee the fatigue has stepped aside and I’m back to my normal happy, excited and energetic self. Feels SO good, it’s a huge relief. And while I can’t be sure whether it’s just Valkee or other things (such as lifestyle factors and supplements) I have to say, the hemoglobin issue never resolves this quickly. The daily treatment time has to be examined experimentally by every individual. I’ve for example had some difficulties sleeping long enough. I go to bed at 9 or 10pm and normally wake up at 5:45. After using Valkee I’ve started to wake up already at 4:45 so now I’m working on taking the treatment a bit later in the day, at 9am. But even if the light wakes me up at such an early hour I wouldn’t ditch it. I adore this feeling of energy and focus. Of course, to see if there’s really anything to it I’m gonna have to live without it for awhile to see, how that impacts my mood and energy. I’ll continue reporting on my experience with Valkee. Based on my humble experience I’d already suggest to get your own, if you have issues with the dark side. It’s quite pricey (189 euros in the Pharmacy of the University) but I’m sure the price’ll come down once it gets more common. Also, it’s a cheap price for sanity and improved quality of life. Still, the toughest part is yet to come: the fall’s easy for me compared to the beginning of spring. My personal low sets in January and lasts until the end of March, approximately. Let’s see if the year 2011 is finally different and I don’t have to move from Finland after all. Hopefully there are many researches yet to reveal the truth about Valkee. While waiting, I’m going to be enjoying this internal sunshine. Find out more about Valkee in Finnish. Find out more about Valkee in English.